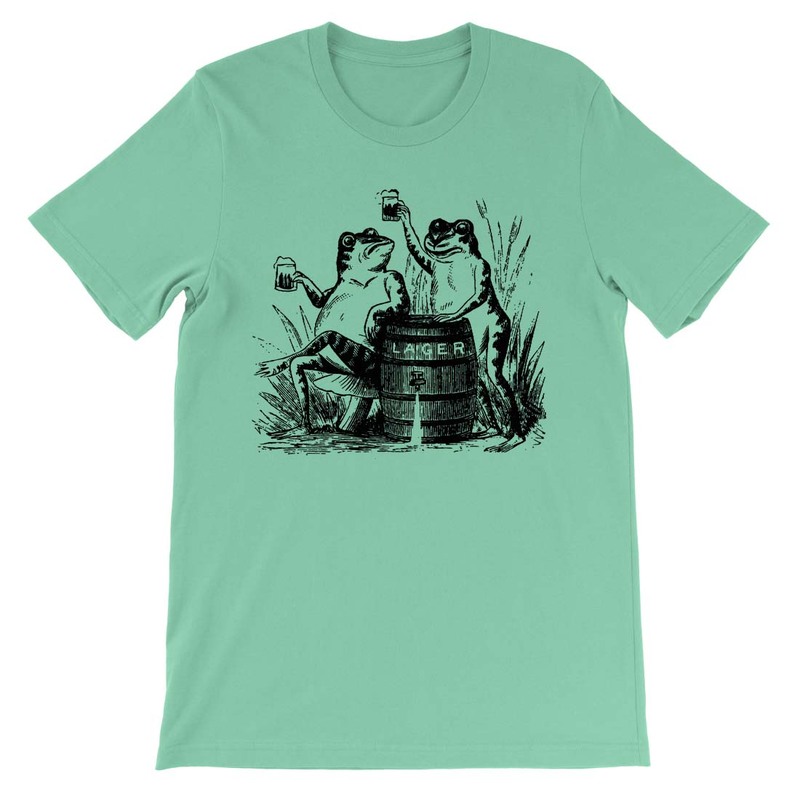 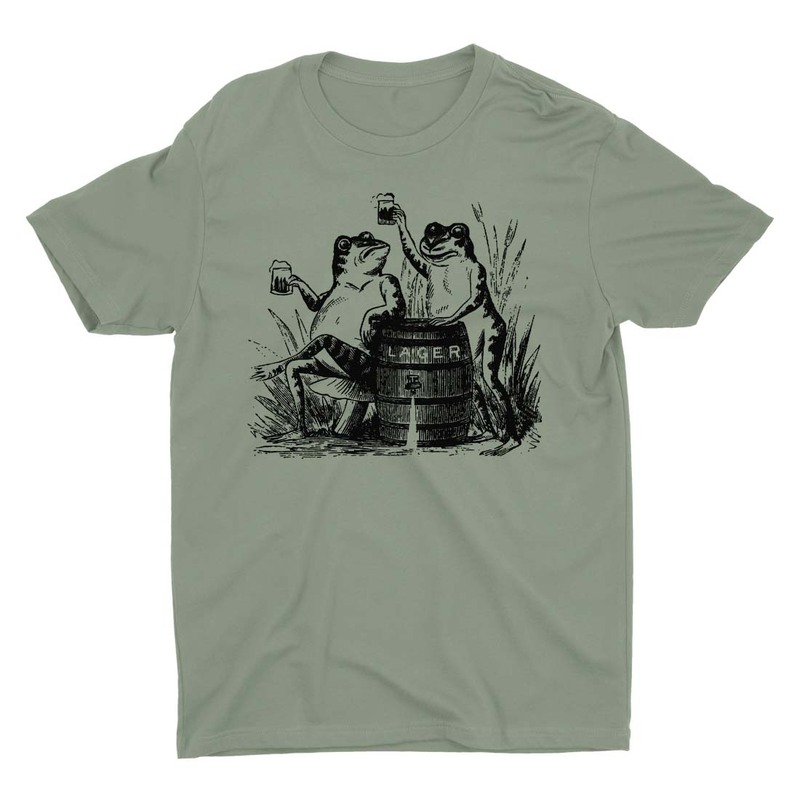 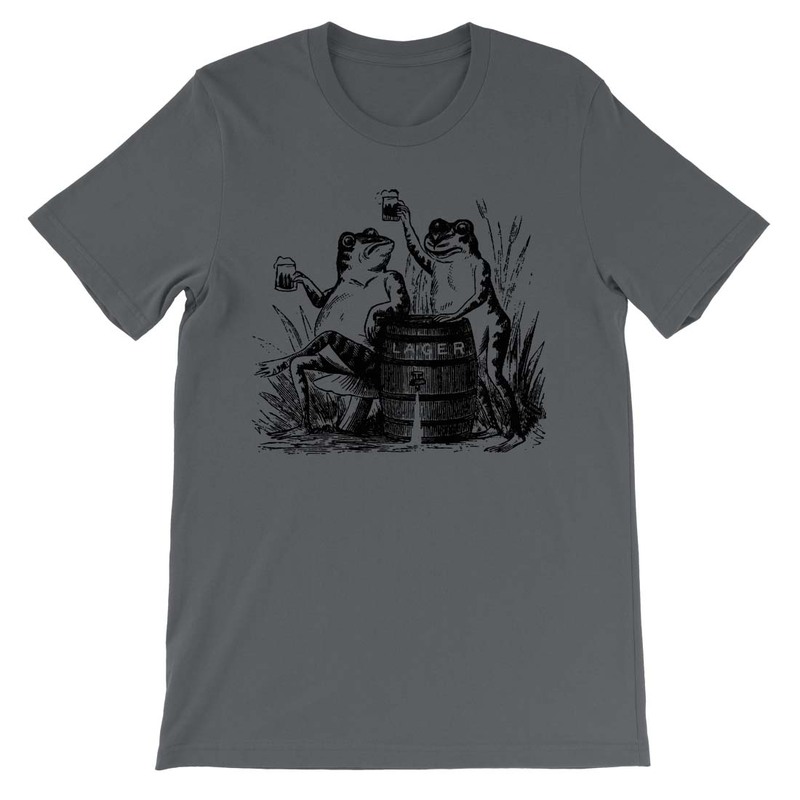 A pair of frogs tap a keg and raise their mugs in celebration. Prost! 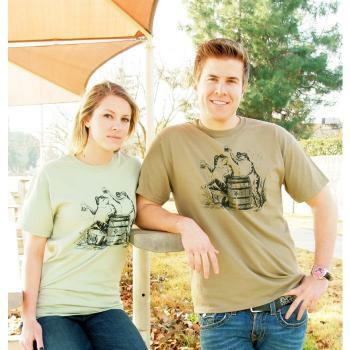 Male model is wearing prairie dust green. 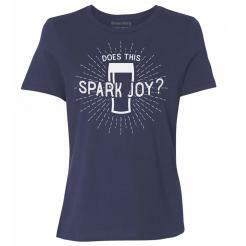 Female model is wearing mint green.